Situated in Browns Bay, the Bays Club is comprised of a restaurant, sports bar and function hall. The Tiri View Lounge provides some of the best views in the Bays. Order a meal from our a la carte or light meals menu, and sit back and enjoy the view over a quiet drink. From the lounge you may access the north facing deck where you can relax and enjoy the fresh air coming off the sea. Heki started working with us in August 2014 as a Commis Chef in the Cold Larder Section. This role requires her to complete tasks such as Mis en place, making desserts, entrée’s, pizza’s and buffet dishes. Heki is a reliable and dedicated Chef, she is now responsible for setting up the cold larder section on her own daily. I believe that if she continues to work hard and develop her skills, she will become a successful chef in the Culinary Industry. I really love working at Bays Club, the staff are very passionate and have made me feel very welcome and part of the team. am very lucky to have a supportive Head Chef, he is very professional and a great mentor. I have also learnt a lot from Daniel (Graduate student from NSIA) he is really creative and has excellent cooking skills. I am now responsible for carving meats and interacting with customers for the Sunday buffet which is a great experience for me. 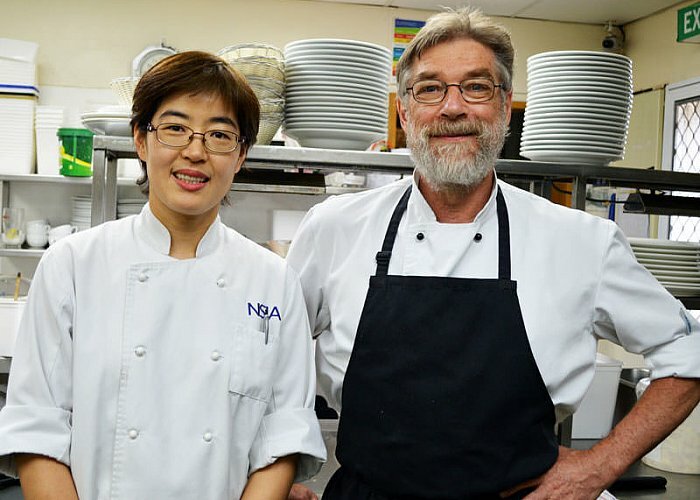 I have been able to apply the skills and knowledge that I have learnt at NSIA to my role at Bays Club and am now more confident in my cooking and time management skills in the kitchen. 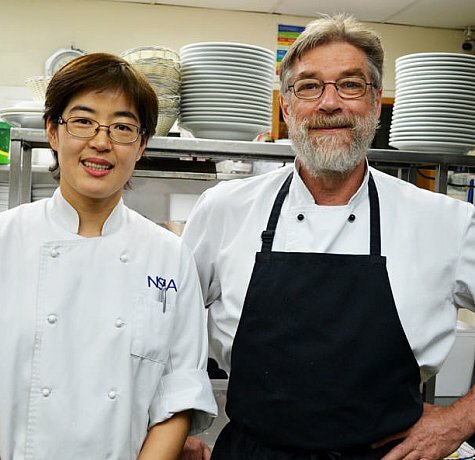 I would like to thank the NSIA Connect team for introducing me to this role at Bays Club.